Agritech Expo was first launched in Zambia in conjunction with the Zambian National Farmers Union in 2014 to establish a leading business-to-business annual trade expo in Zambia; it is now in its 4th edition. 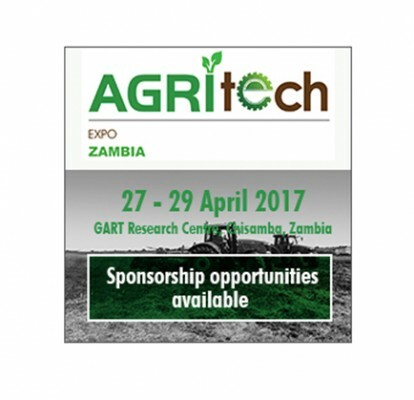 Agritech Expo Zambia is a platform for agricultural professionals, from small-scale farmers to commercial enterprises, to engage and conduct business with some of the world’s leading suppliers to the agricultural industry. 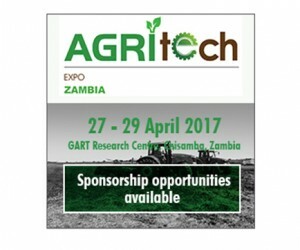 From live crop trials and machinery demonstrations to technical and practical workshops for emerging farmers and VIP business lounges for commercial players, Agritech Expo is simply the only business event servicing the needs of the entire agri-value chain in Zambia and its neighbouring countries. We encourage investors, the donor community, input suppliers, government, farmers of all scales and all professionals involved in the agricultural value chain to use this opportunity to join us and be part of the evolution of Zambian agriculture. Agritech Expo Zambia will showcase exciting features including the popular Commercial Farmers workshops, a platform to gain knowledge and identify innovative trends while networking with industry peers and experts attending the free-to-attend commercial farmers workshop session. Click on your preferred event feature above to reveal more information.